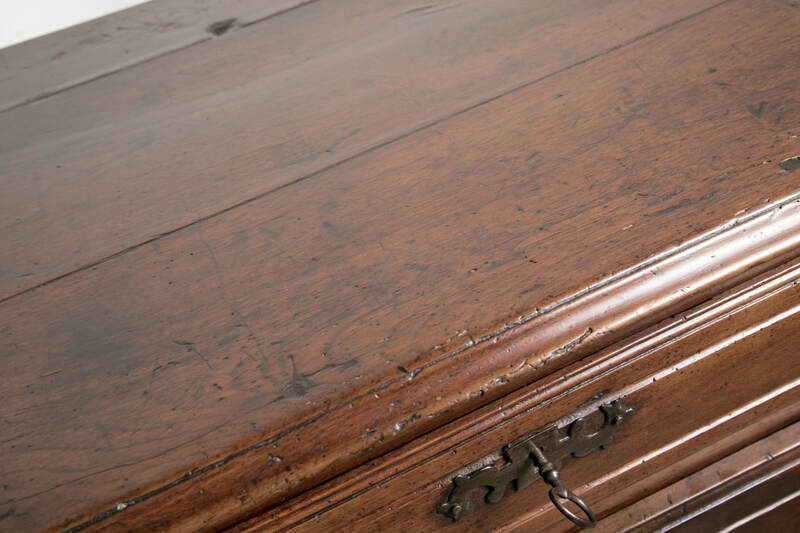 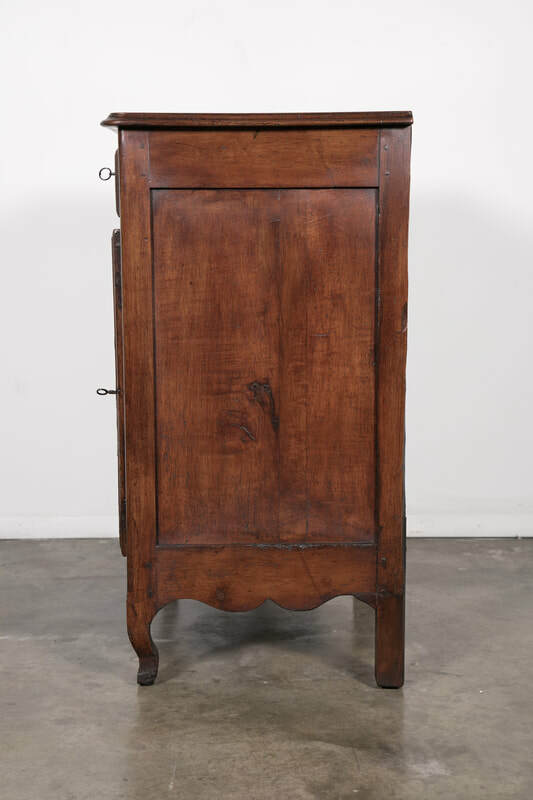 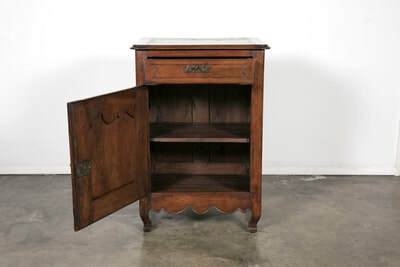 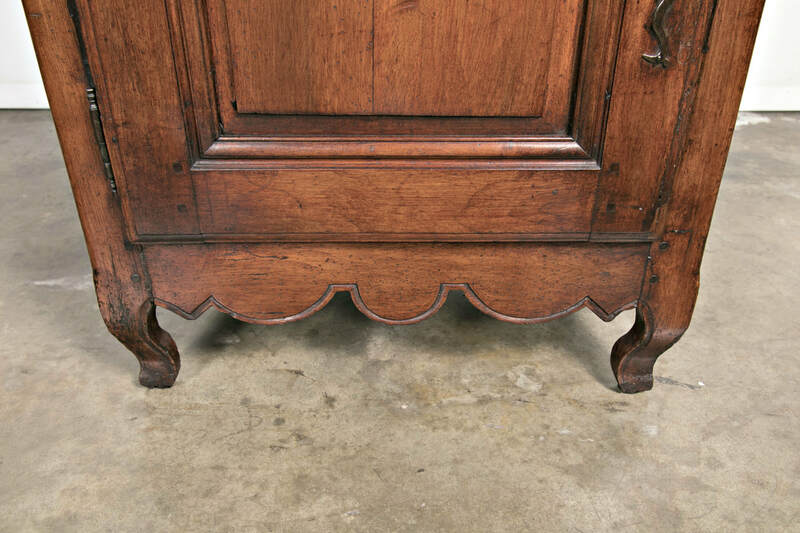 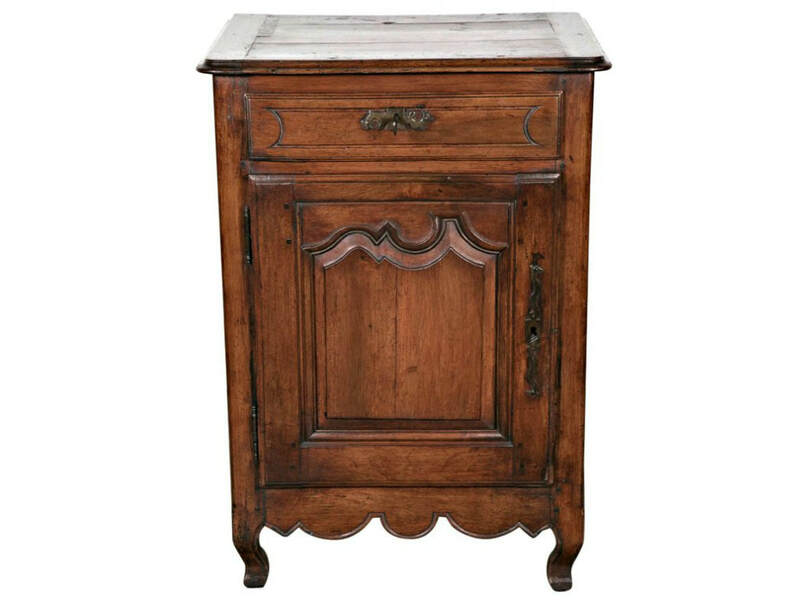 Beautiful solid walnut 18th century hand-carved Louis XV period confiturier or jam cabinet with a single drawer above a door opening to reveal a single shelf. 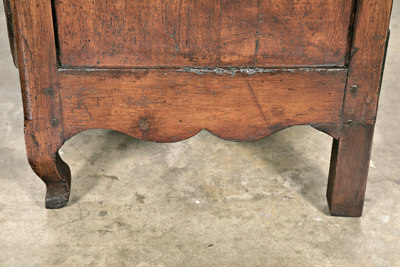 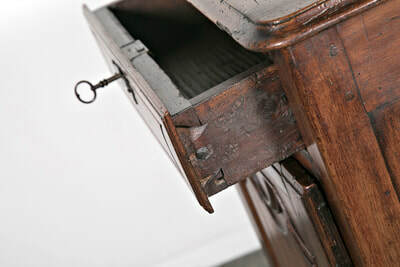 Carved apron resting on short raised cabriole legs. 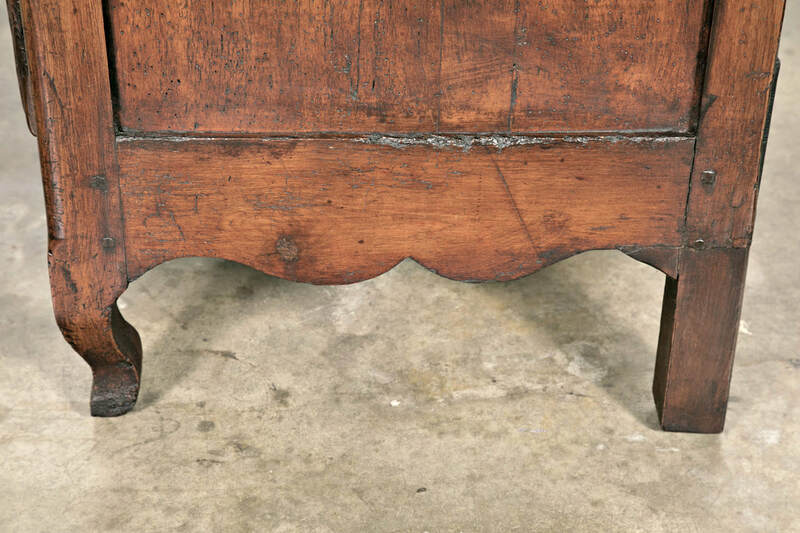 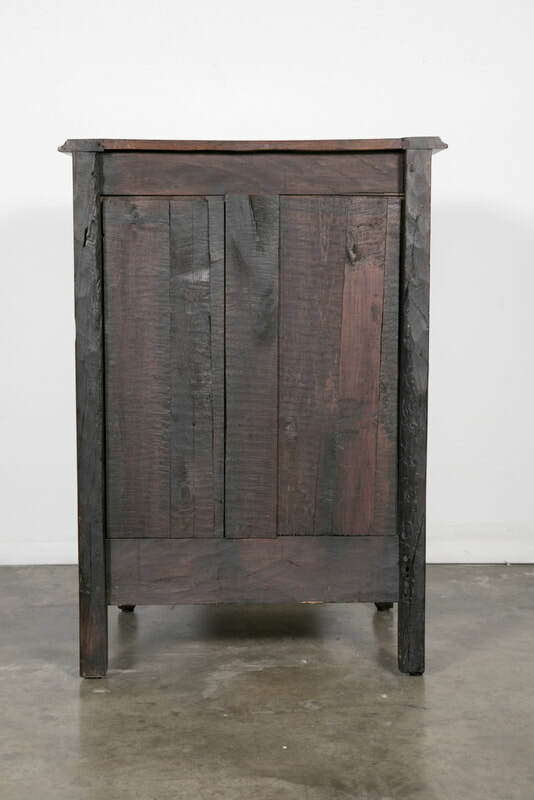 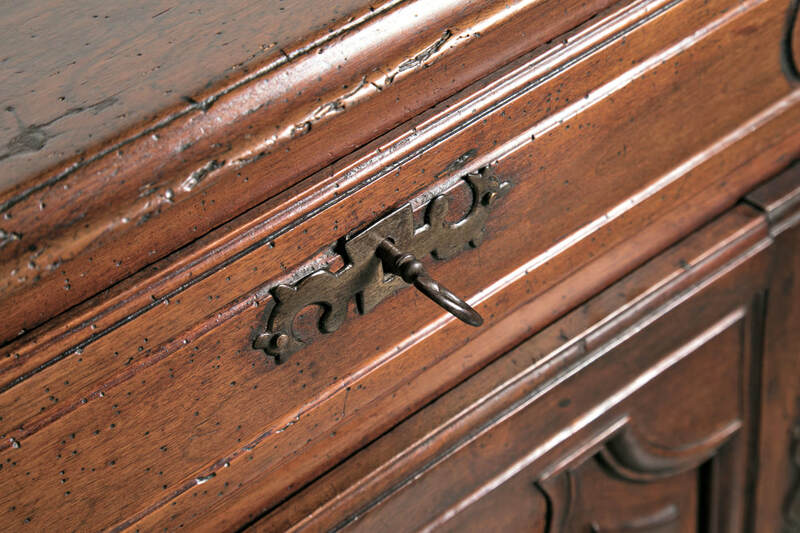 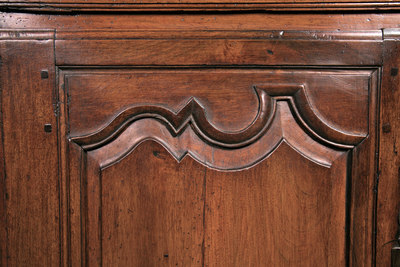 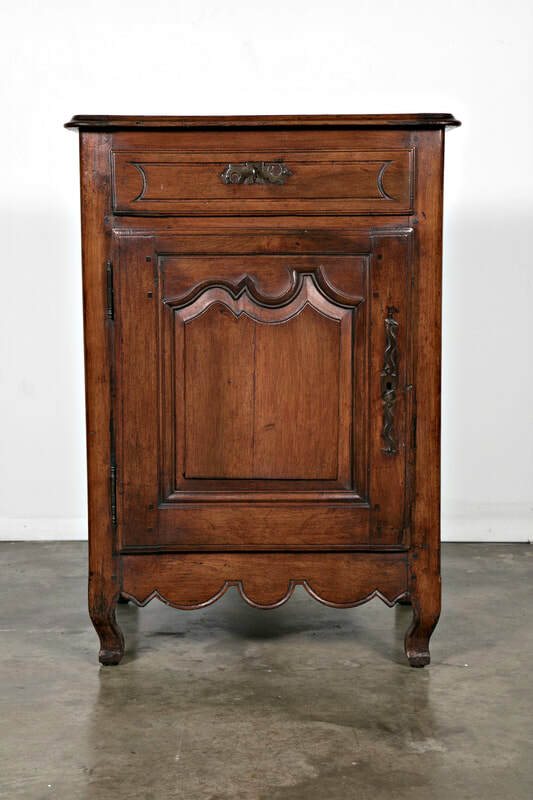 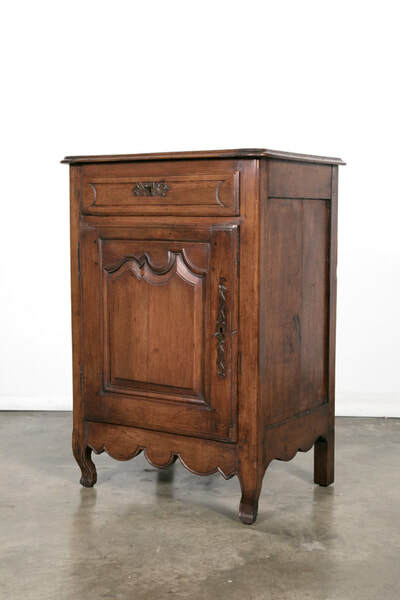 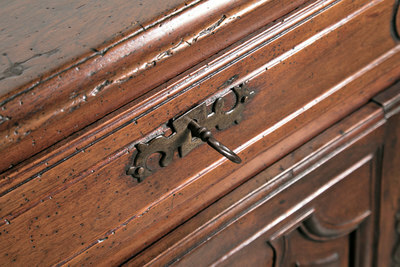 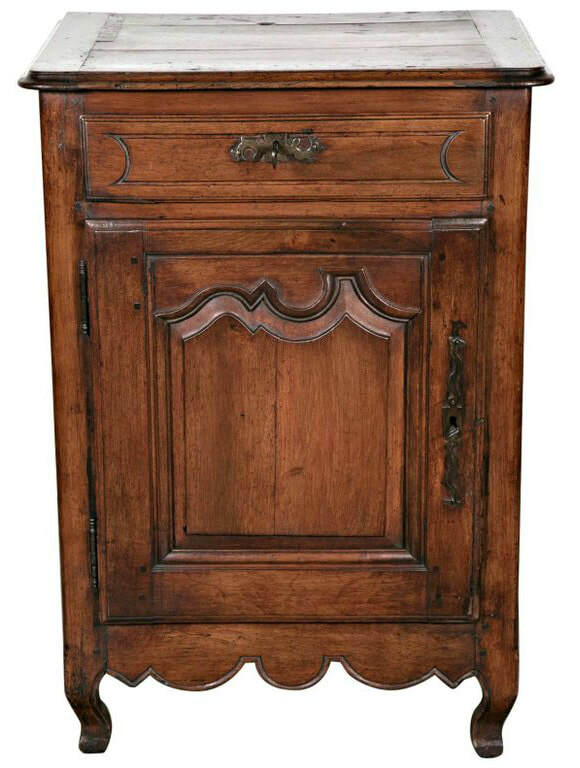 An exceptional example of 18th century master artisanry from the Lyon region.